Mexico's population is in the vast majority Catholic and the country's major holidays correspond to the church calendar: Christmas and Easter are of prime importance, and in some areas, Day of the Dead is also a major celebration. A few civic holidays are also celebrated to a great extent, particularly Mexican Independence Day, in September. 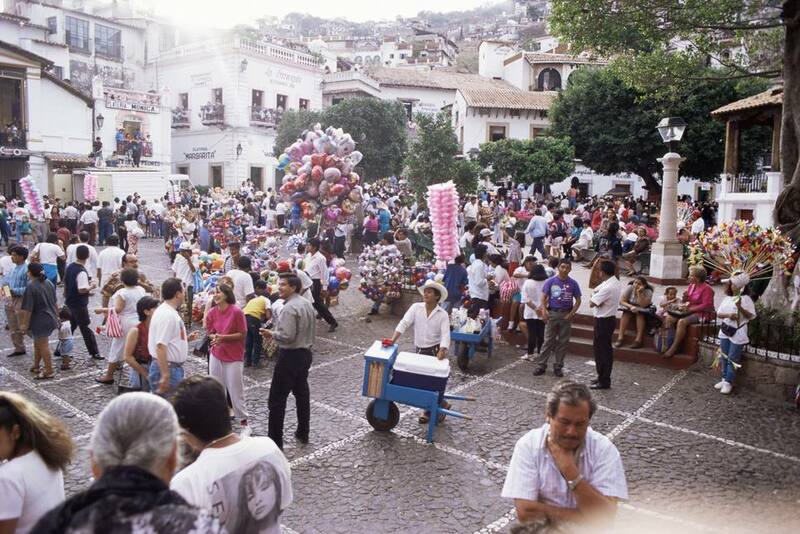 Contrary to what you might expect, Cinco de Mayo is not of major importance: the city of Puebla marks the occasion with a parade and some other festivities, but elsewhere in Mexico it is a minor civic holiday. There are only a handful of official national holidays in Mexico, but there are a great many regional celebrations. Every community has its own fiesta, and saints are celebrated on their feast days. School and work calendars are determined by a couple of government bodies that decree the official days of rest that Mexicans enjoy throughout the year. Nationwide, school holidays are for roughly two weeks at Christmas and two weeks at Easter (Semana Santa), and from the beginning of July through the third week of August. During these times you can expect to see crowds at tourist attractions and beaches. You can consult the official 2018-2019 Mexican school calendar which is available on the Mexican government website. Article 74 of Mexico's federal labor law (Ley Federal de Trabajo) governs public holidays in Mexico. In 2006 the law was changed to modify the dates of certain holidays, which are now celebrated on the closest Monday, creating a long weekend, thus allowing Mexican families to travel and visit other areas of Mexico. First Monday in February - Constitution Day (Día de la Constitución). Originally observed on February 5, now observed on the first Monday in February. Third Monday in March - Birthday of Benito Juarez (President of Mexico from 1858 to 1872). His birthday was March 21, 1806, but the holiday is observed every year on the third Monday in March. May 1 - Labor Day (Dia del Trabajo). Worker marches and demonstrations in cities across the country can create traffic jams and generally slow things down..
Third Monday in November - Revolution Day (Día de la Revolución). The Mexican Revolution began on November 20, 1910, but the revolution is commemorated every year on the third Monday in November. Mexican workers have the day off on election days. Federal elections are held on the first Sunday in June; the date of state elections vary. Every six years when a new president is sworn in to office, December 1 is a national holiday. Besides the national holidays, there are many important civic holidays and religious fiestas throughout the year, for example, Flag Day on February 24, and Mother's Day on May 10, are not official holidays, but are widely celebrated. To learn more about what holidays and events you may witness on a trip to Mexico, see our Mexico Month-by-Month Guide.